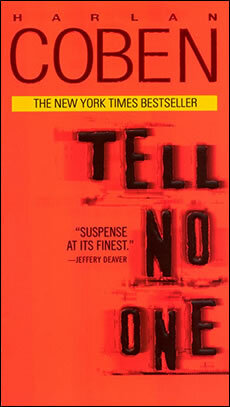 Home » Films » Ben Affleck to direct Coben’s TELL NO ONE. Ben Affleck to direct Coben’s TELL NO ONE. Numerous trades have reported that actor/screenwriter-turned-director Ben Affleck will be direct the Hollywood film version of Harlan Coben’s TELL NO ONE. The book was already made into a very successful French film. It was the success of the French film that got the studios looking at TNO again. It had previous languished at Sony for years. In TELL NO ONE, a pediatrician discovers that his long deal wife may still be alive. But as he starts to look, he finds himself suspected of murder and on the run. Ben’s directorial track record is pretty good and shows he does well with projects based on crime novels (THE TOWN, GONE BABY GONE). He will be working with a screenplay by Chris Terrio. Terrio is relatively new to Hollywood and has one film, the widely praised HEIGHTS, under his belt. He directed HEIGHTS and did some secondary work on the script. But Affleck is familiar with his work, Ben’s next directing job is ARGO, a film whose screenplay Chris wrote. I don’t know if Chris being on the project got Ben involved, or if Ben brought Chris on board. With pre-production underway for ARGO, this project likely won’t get underway until the end of the year, at the earliest.